There used to be a time when keeping kids safe involved looking both ways before crossing the street or avoiding strangers. While those are still much needed life skills, our children are growing up in an increasingly digital and social world. Today’s kids embrace social media and technology as their primary means of communication and entertainment. Even though these devices provide a multitude of benefits, we do need to recognise there are very real dangers lurking behind our glowing screens. Teach the “Grandma Rule”. As social media becomes ingrained in our culture, children need to know social media etiquette. A good rule is to only share or leave comments that you would feel comfortable with granny seeing or reading. If you hesitate or question how grandma would react, then you probably should not be posting. This concept helps kids define what behaviors are acceptable. Also, remind children that nothing is really private online, everything has the possibility of being shared. Begin an ongoing conversation about the dangers on social media. Starting early, empower kids with information so they can avoid common digital pitfalls. Be honest and upfront about the problems that cyberbullying, sexting, online predators, oversharing, and identity theft pose to their mental and physical wellbeing today and tomorrow. Yes, there are long term consequences for poor online behavior that can affect them for years to come. By keeping them informed and listening to their concerns, we can help children navigate the social media landscape safely. As an added bonus, kids are more likely to alert us to any problems they encounter. Be in the know. Communication is key, because it is estimated that 70 percent of our teens actually take measures to hide their online activity from adults. These behaviors range anywhere from dimming screens, closing windows, or creating dummy social media accounts. It is important that we stay informed about trends, new social media hangouts, and what sites our kids frequent. Ask a child to friend you online and check their activity frequently. Limit screen time. It’s no secret that our kids love their devices and social media. 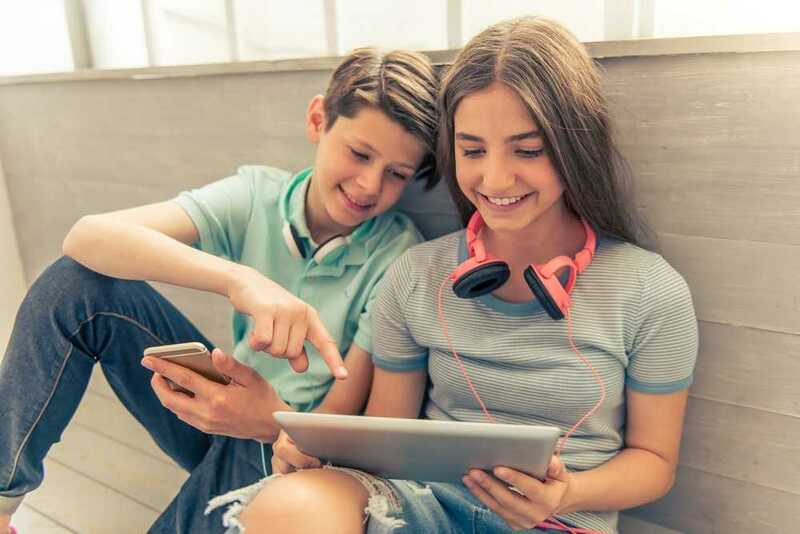 The BBC reported that children spend more than six hours a day in front of a screen and the average teen in the United States spends 9 hours daily consuming media. Designate certain places in the home as technology free zones to keep devices out of bedrooms, bathrooms, and away from the dinner table. We also need to provide opportunities for our children that don’t require an internet connection. Encourage new hobbies like sports or gardening to provide respite from the constant connectivity and notifications that disrupt a child’s day. We would love to hear your experiences of how you help to keep your child safe on social media. Keeping the Conversation on Staying Safe Online Current!